Why settle for a boring cork board when you can use this custom design instead? A bland office cubicle will instantly seem more chic. A boring dorm wall will have a fun pop of color. The kitchen nook can now be used for handy reminders and match the rest of your decor. We really don’t see a downside to trying this out for yourself! 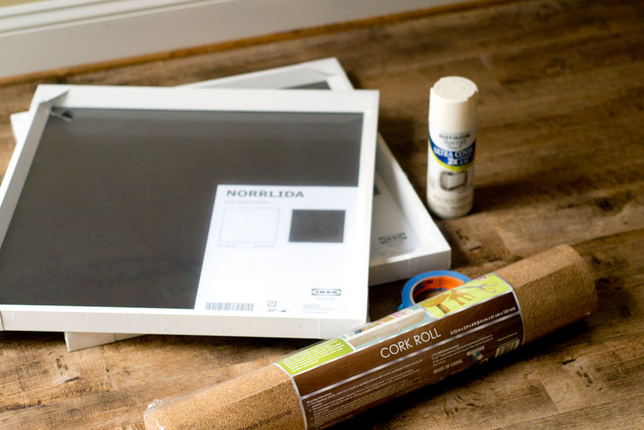 This project was made from scratch, but if you can pop a regular cork board out of its frame, you’ll be able to put your own designs to work on the one you’ve already got! 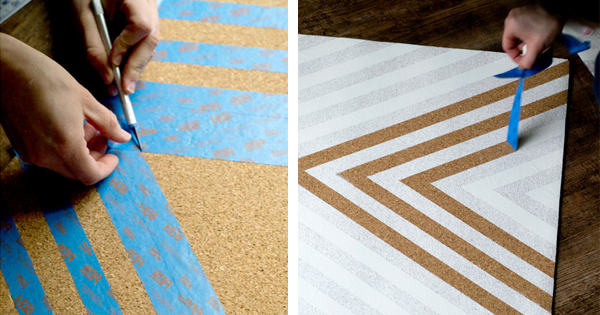 Using painter’s tape, a steady hand, and acrylic paint (alternately, you can use spray paint or craft paint), she laid her design down and painted over it, waiting for the paint to dry before removing the tape. The negative space left this chic design in its place! 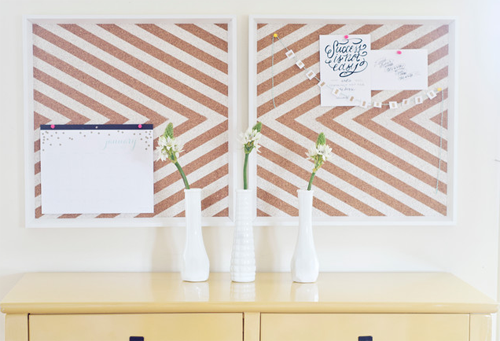 Now, her cork board is a centerpiece on its own, and everything just looks…better! A normal cork board would have worked just fine, but giving it an upgrade took the area to a stylish new level. Do you want to try this project out for yourself? Check here for the full tutorial! Upgrade any room in your home with this cute and clever design.